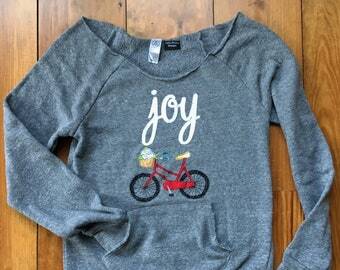 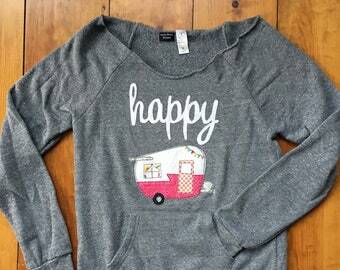 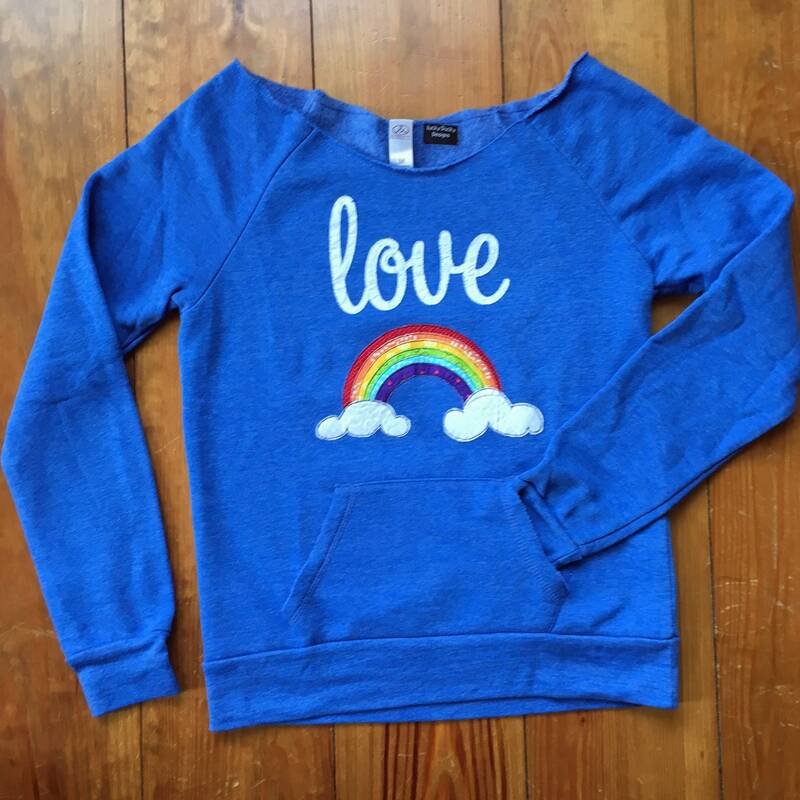 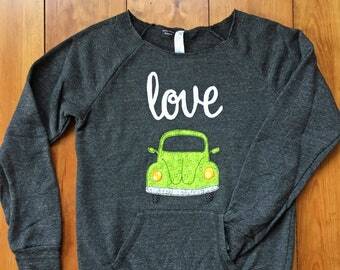 A comfortable sweatshirt is embellished with a free motion stitched rainbow and the word love. 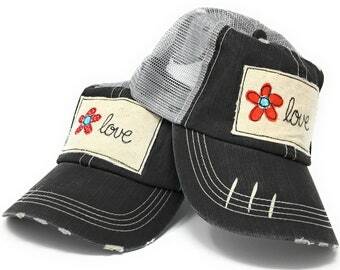 What does free motion stitched mean? 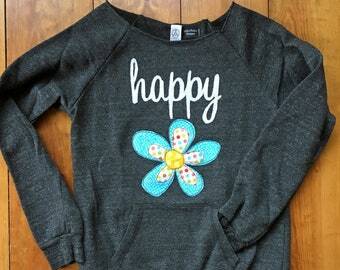 Each fabric piece is hand cut and the pieces are stitched using a traditional sewing machine, not an embroidery machine. 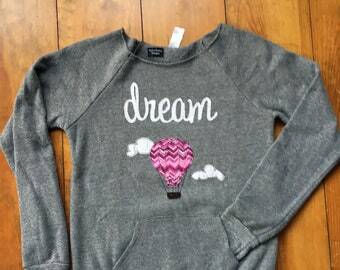 The sweatshirt has been washed following stitching.